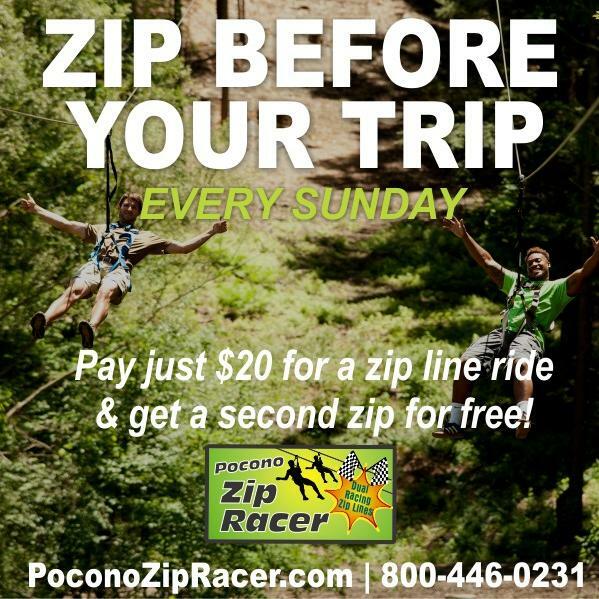 Head to Pocono Zip Racer before your trip back home and experience the thrill of our dual racing zip lines! Offer is for Sundays only, 10 am-12 pm. 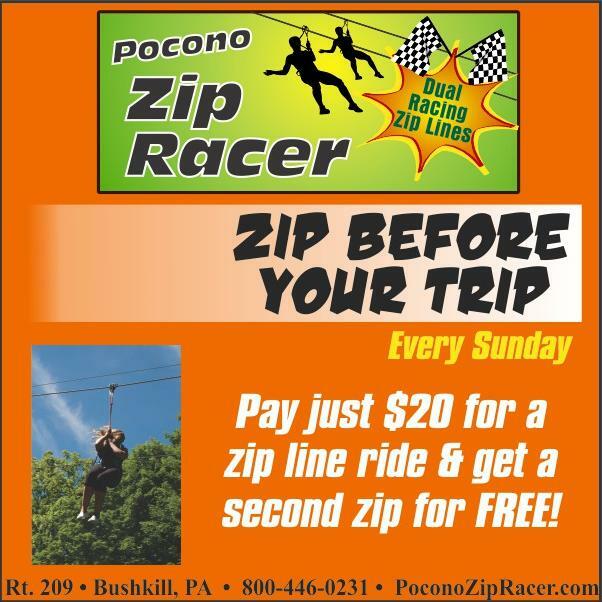 Pay $20.00 for your first zip and get a 2nd ride free! Must be used by same rider. Show your Villas at Tree Tops & Fairway guest card, White/Blue Lightning Tubing or Pocono TreeVentures armband to receive the special discount. Owners will receive 50% off. Must show wristband or membership card to receive the discount.